When it comes to innovation, TV5 is the model since this is the fastest growing network in the country today. Not only that it has reached out to those who are fond of watching in their televisions but also to those who are going online. And talking about going online, there are ways on how you will be able to connect with TV5 on several services. 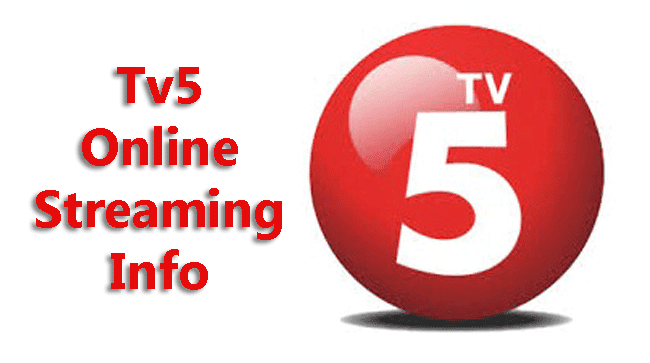 Online Streaming – By clicking this hyperlinked text, you will be able to watch TV5 stream its shows online. And since this is also the official site of the said network, you will be able to interact with other viewers using your social networking account and browse to the several menus like artists, shows, videos, schedule, hitlist and app. Kapatid TV5 and Aksyon TV International – TV5 is dedicated to reaching out to Filipinos around the world that is why it has launched Kapatid TV5 and Aksyon TV International that can be viewed abroad through several cable networks. InterAksyon – This is the online news portal of TV5 that lets readers and viewers alike be updated on what is happening in the country and the world today. InterAksyon focuses on entertainment, business, lifestyle, opinion, etc. Mobile TV – If you have an Android phone, you will be able to access to TV5’s mobile TV. Just download the application and you will be able to start accessing. There are so many features of this application that you will surely enjoy such as rewards. TV5 Manila on Facebook – This is TV5’s official Facebook account. TV5 Manila on Twitter - This is TV5’s official Twitter account. TV5 Philippines – This is TV5’s official Youtube account. No matter where you are, TV5 is there to reach out to you and bring their best programs not only for you to enjoy but to learn as well.